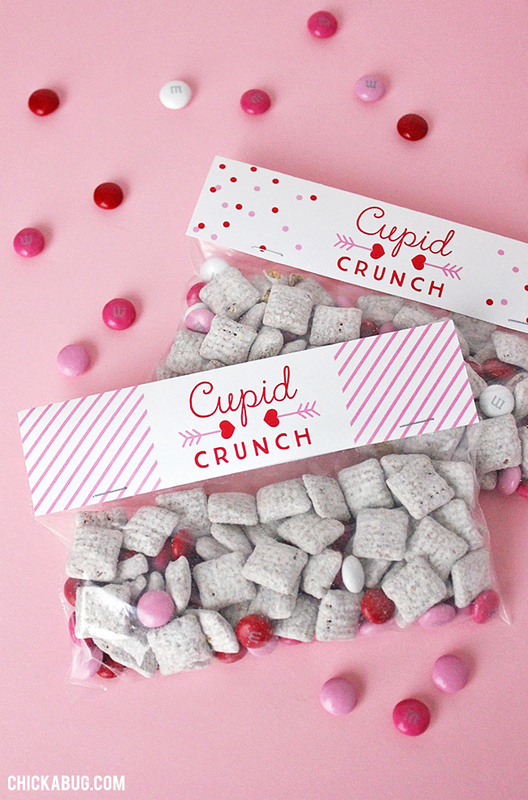 I have a sweet little treat for you today – free printable Cupid Crunch Valentine’s Day labels! 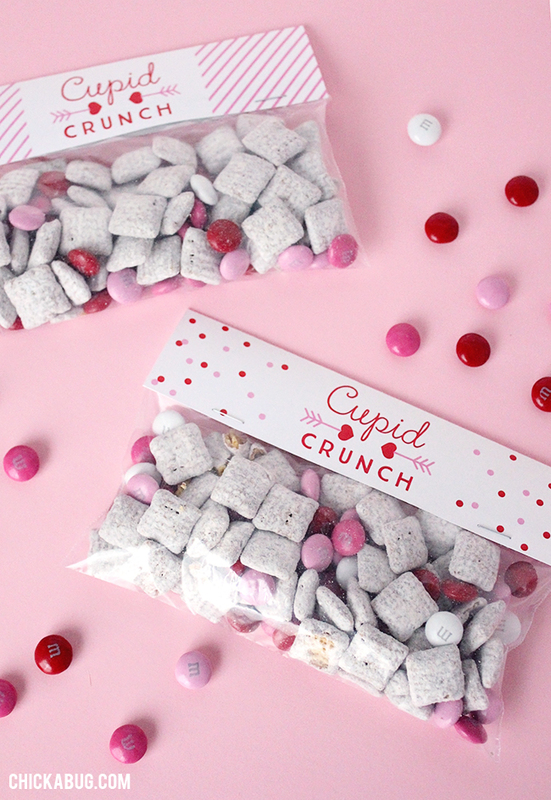 They make really adorable bags of treats that your kids (or you!) can give away on Valentine’s Day. And you won’t believe how easy these were to make. The free printable labels I made includes two designs, and there are spaces on the back to write “TO” and “FROM” since you’ll be giving these out as a gift. The baggies I used are just snack size Ziploc bags . The perfect size for treats! I hope you have a cute, fun, and EASY Valentine’s Day!! 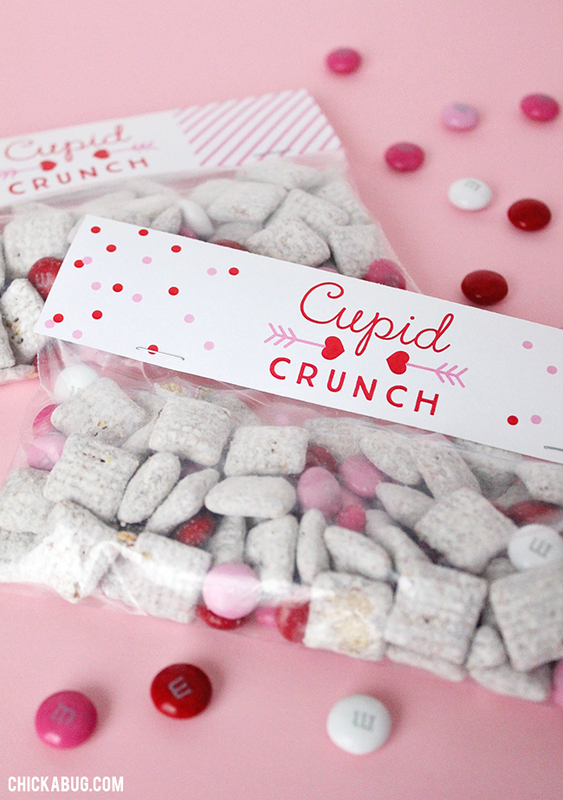 This would be a great snack for a valentines party! Your stuff is so cute, Thank you for sharing. Really like this will definitely use it ! I have given my email several times. But haven't gotten an email in return? 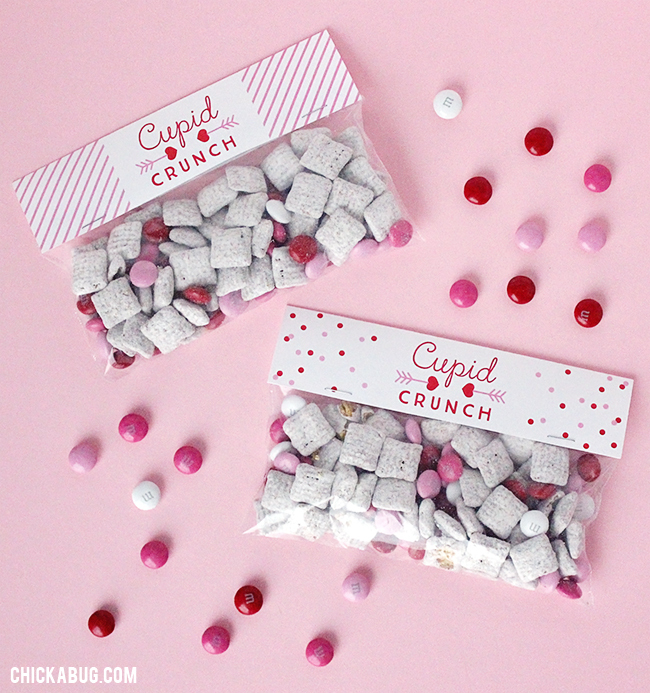 I am trying to use the Cupids Crunch printable.